he lands of Osten Ard (“Eastern Land” in Rimmerspakk) are peopled by a diverse collection of races: the Viking-like Rimmersmen of the far north; the Italianate Nabbanai; the Erkynlanders, who resemble Anglo-Saxons; and the Celt-like Hernystiri. Among the other nationalities are the Thrithings-folk, who travel the plains in wagon caravans; the Hyrkas of the east; the Harcha-folk, Naraxi, Perdruinese and Warinstenners of the islands; and the small Qanuc folk of the northern mountains. But long before Mankind peopled Osten Ard, it is said that the undying Gardenborn once ruled these lands, building nine great cities long before humans walked the lands. Old stories say that the Sithi, Norns, Dwarrows, and Niskies were driven away when Mankind grew powerful centuries ago. 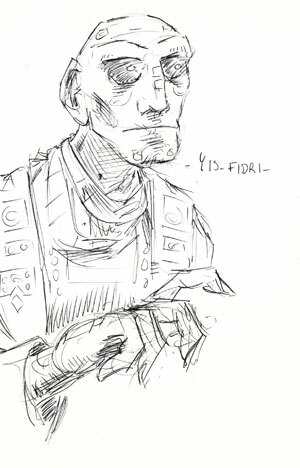 Chief among the Gardenborn clans were the Sithi, whom the people of Hernystir called “the peaceful ones”. It was the Hernystiri who gave these immortal folk the name “Sithi”. The Sithi called themselves Zida’ya, meaning Children of the Dawn. They once dwelled in the fair cities of Da’ai Chikiza, Enki e-Shayosaye, Kementari, and Tumet’ai. But their greatest stronghold was at Asu’a, the city which looked eastward, toward their lost homeland. When mortal men first came to Osten Ard, the king of the Sithi, Iyu’unigato the Erl-king, granted them lands. But Mankind soon multiplied and grew strong. “Heart of All Sorrow” by Sojourn. But even the Great Sword Jingizu could not halt the defeat of the ancient Sithi. Two years after the invasion began, Fingil prevailed, and the Sithi’s final stronghold, Asu’a, fell to the northmen. The Northmen slaughtered all who remained at Asu’a. A small band of Sithi escaped into Aldheorte Forest, where it is said they dwell to this day. The Sithi, it is said, had golden skin and golden eyes. Their hair was naturally white, but it was customary for the Zida’ya to dye their hair in exotic colors (or sometimes multiple colors). Unlike the Sithi, their northern brethren, the Norns, never befriended Mankind. Several incidents embittered the Norns and their Queen Utuk’ku against mortals. After the deaths of Utuk’ku’s husband, Ekimeniso, and her son, Drukhi, Utuk’ku swore revenge on Mankind… and the mortal-loving, traitorous Sithi. The Norns called themselves Hikeda’ya, meaning “Cloud Children”. They once dwelt in the crystalline city of Nakkiga, but they no longer dwell in light. The Sithi and the Norns were once one people, but the death of Utuk’ku’s son caused an irreparable rift between the two clans. Once the servants of the Sithi and the Norns, the peaceful Niskies live alongside the ocean, eking out a living working on ships. The Niskies call themselves Tinukeda’ya, meaning “Children of the Ocean”. They were once a powerful clan led by the mighty Navigator Ruyan Ve, but over the centuries, the Niskies have dwindled in both number and in spirit. Unlike the Sithi and the Norns, the Niskies could not be killed with iron, though unlike the Dawn Children and the Cloud Children, they did not live forever. Niskies are short, with golden skin, white hair and black eyes. The secretive Dwarrows were once, like the Niskies, a band of Tinukeda’ya, but they hid from their masters, the Sithi and Norns, in the abandoned cities of Hikehikayo, Mezu’tua, and Jhina T’senei. Jhina T’senei sunk beneath the ocean eons ago, and the exact locations of Mezu’tua and Hikehikayo were lost centuries ago. No-one has visited these cities in many years. The remaining Dwarrows are elderly, now; tall and spindly, with white hair and black eyes. The Dwarrows of Mezu’tua were led by Yis-fidri and Yis-hadra, the Keepers of Pattern Hall.